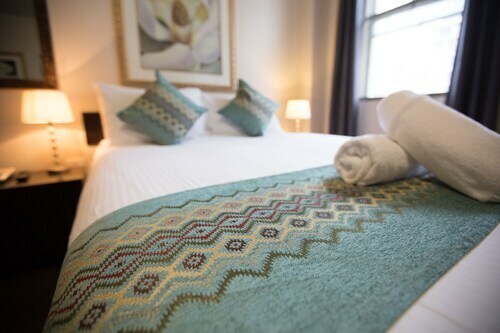 Located in Melbourne Central Business District, this hotel is within a 5-minute walk of Collins Street, Bourke Street Mall, and Flinders Lane. Federation Square and Melbourne Central are also within 10 minutes. Melbourne Central Station is 10 minutes by foot and Flinders Street Station is 6 minutes. Located in Melbourne Central Business District, this hotel is steps from Collins Street, Flinders Lane, and Regent Theatre. Federation Square and Forum Theatre are also within 5 minutes. Flinders Street Station is only a 4-minute walk and Melbourne Central Station is 12 minutes. 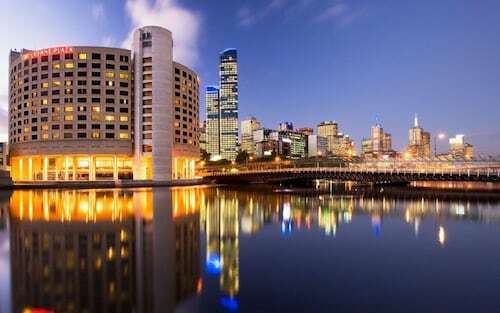 In the central business district, this hotel is across from Southern Cross Station, and a short walk from the convention center and Crown Casino. You will also be a short 10-minute walk from both Etihad Stadium and the Melbourne Aquarium. This luxury hotel is on Collins Street, surrounded by the high-end boutiques and top restaurants of Melbourne’s central business district. Collins Street/Swanston Street tram stop is steps from the lobby, and a 15-minute walk takes guests to Eureka Tower, one of the world’s tallest buildings. This family-friendly Melbourne hotel is located in the entertainment district, steps from Collins Street, Flinders Lane, and Regent Theatre. Federation Square and Her Majesty's Theatre are also within 10 minutes. Parliament Station is 9 minutes by foot and Flinders Street Station is 8 minutes. 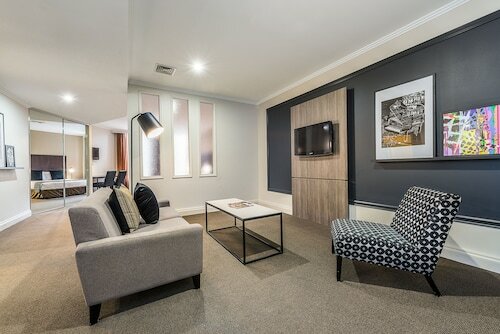 Located in Melbourne Central Business District, this luxury hotel is within 1 mi (2 km) of Federation Square, Melbourne Cricket Ground, and Melbourne Central. Rod Laver Arena and Hisense Arena are also within 1 mi (2 km). Parliament Station is only a 3-minute walk and Flinders Street Station is 12 minutes. Located in Melbourne Central Business District, this luxury hotel is within a 15-minute walk of Bourke Street Mall and Eureka Tower. Melbourne Central and Marvel Stadium are also within 1 mi (2 km). Southern Cross Station is 8 minutes by foot and Flagstaff Station is 11 minutes. If you're in Victoria, visit the state capital of Melbourne and swing by the interesting neighbourhood of Collins Street, which is positioned 0.2 kilometres south of the central business district. If you are in the Melbourne area, you will want to see the iconic sights here, like the Crown Casino and Entertainment Complex, Federation Square and St. Kilda Beach. Discovering Collins Street and its surrounding area almost always involves visiting the Royal Botanic Gardens and the Melbourne Museum. 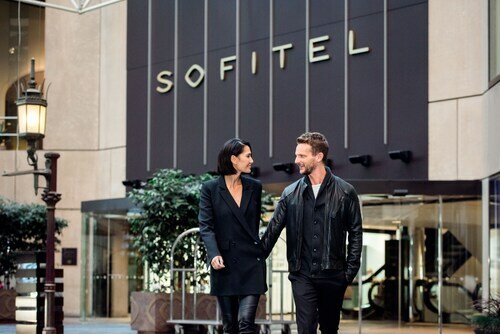 You can wake up near the National Gallery of Victoria at a number of Wotif-listed hotels, like the Mantra Southbank Melbourne, Melbourne Short Stay Apartments MP Deluxe, Tribeca Serviced Apartments Melbourne, Melbourne Marriott Hotel and The Lyall Hotel and Spa. National Sports Museum is a sports museum for supporters of all ages, so the entire family can come! The Crown Towers and Park Hyatt Melbourne are great if you want to kick your heels up nearby. If you're searching for a pleasant park to unwind and go for a walk, stop by Fitzroy Gardens. 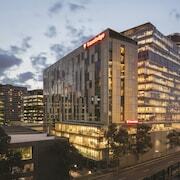 For this place, check out the Grand Hyatt Melbourne and The Westin Melbourne. At Wotif, we think that every now and then you should treat yourself. 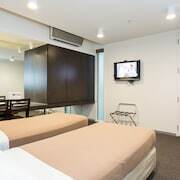 So if you are after places to sleep in Collins Street and you can spend a bit more, you should consider the packages at the Docklands Executive Apartments and InterContinental Melbourne The Rialto. Keen to check out the cafe culture in in Collins Street? Whether you're meeting a few mates or just sitting back in a cozy corner with a hot drink, you can't go past Oriental Teahouse. Wondering where to go for dinner? 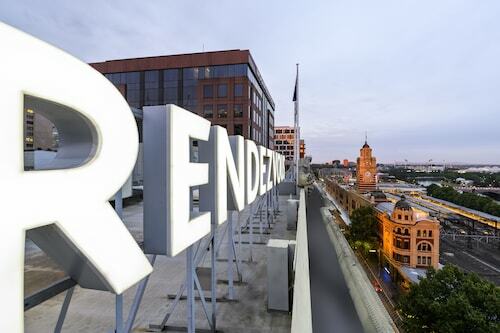 You can't miss Rendezvous Hotel Melbourne. The nourishing dishes here will be sure to get your energy levels back up. Have you ever noticed that you tend to get thirsty as the sun starts going down? A few well-deserved drinks at Nomads Melbourne is an excellent way to finish off a long and fulfilling day. 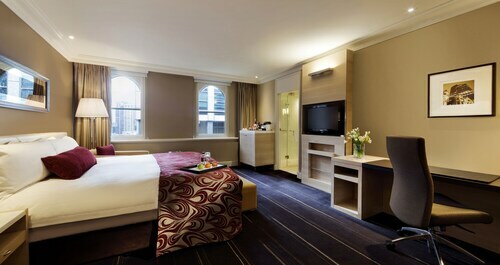 If you and your family cannot find the ideal hotel in Collins Street, consider the Melbourne hotels guide. Alternatively, the Wotif Melbourne CBD hotels guide will sort you out. Turn your daydreams into realities with Wotif. From hotels and flights to car hire and activities, Wotif will make it happen! 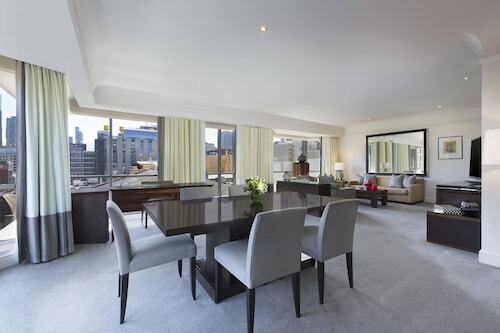 How Much is a Hotel Room in Collins Street? Hotels in Collins Street start at AU$75 per night. Prices and availability subject to change. Additional terms may apply. Clean, modern and close to the city centre. Staff very friendly and ready to help. Great location. Friendly staff. Room was nice for the three nights we were there.